This is a guest post by Lee Becknell. 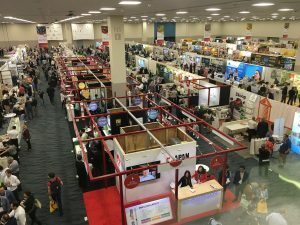 While the reasons for attending a tradeshow are different from company to company, everyone has essentially the same tradeshow goals – we all want to spread awareness about our brand, make sales, and forge connections with new partners and customers. Regardless of how top-notch your product or service or how flashy your booth, you won’t achieve any of these goals if you don’t have a steady stream of traffic. Get creative in your tradeshow approach so that no one can resist stopping by your exhibit. Make your booth unmissable—Step No. 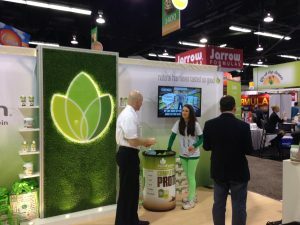 1 of effective tradeshow marketing: design a show-stopping, crowd-pleasing, sales-grabbing booth. 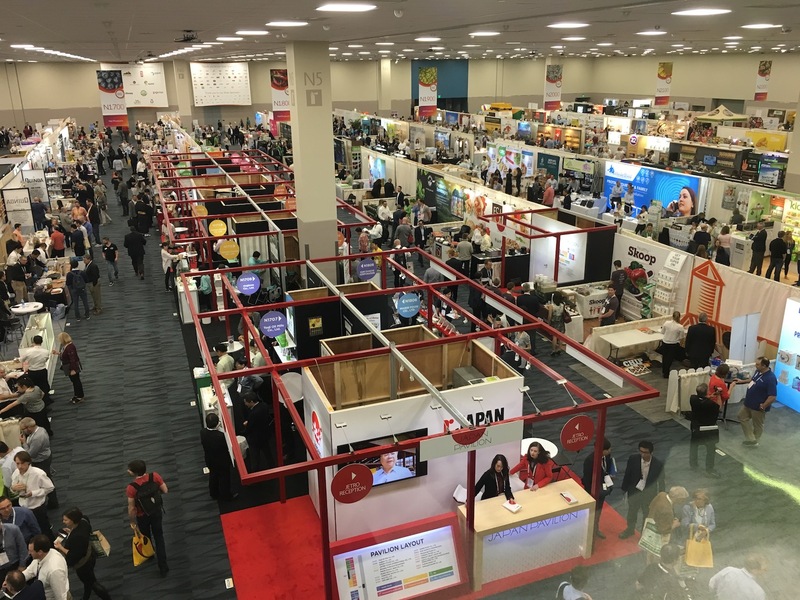 Of course, how big and bold you can go varies greatly on your budget, but be sure to look around at some of the top tradeshow booth ideas to get some inspiration and learn how you can do more with less. You don’t necessarily have to have a huge and flashy environment to draw in more visitors. Simple but creative designs—turning your booth into an indoor garden, recreating the feel of an art gallery, or including interactive components—are the most successful in today’s tradeshow landscape. Anything that serves as a conversation piece will get people talking, generating some big-time buzz. Dress your reps to impress—After your booth, the first thing attendees see is your reps. You should make sure that anyone representing your brand adheres to a strict dress code, and one that jives with your brand image. In other words, if your brand has a laid-back, youthful vibe—and those are characteristics of your target audience—then it’s okay to have your reps dress in jeans and company T-shirts. If you’re catering to a crowd of attendees in suits and dresses, it’s best to stick to the suits and dresses yourself. 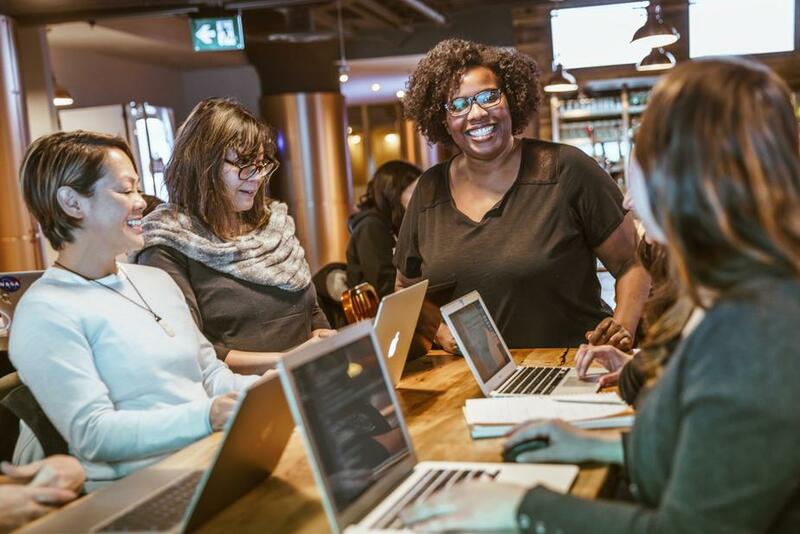 When visitors think they’ll be in like-minded company, they’re more likely to cozy up at your booth and connect with your team. Be sure that all representatives wear badges displaying their name and company to keep things professional. Showcase your giveaways—A not-so-well-kept secret in the tradeshow world is that swag is everything. The fact of the matter is that registered attendees are much more likely to pass on your booth if they don’t believe they’ll get something out of it, whether it’s a new partnership or a free gift. Make your promotional giveaways part of the display so that passersby can see them from the aisle. It’s also a good idea to go name-brand with your freebies and to use them as incentives. Save your cool items, like custom Nike swag bags and YETI tumblers, for those who sign up or commit to a deal. Promote your presence—Make sure that your existing customer base and networking circle knows that you’re exhibiting so they stop by and bring their friends. Be sure to schedule marketing emails and blast your social feeds with your exhibit location and encourage all of your followers to visit. Not only do you need to promote your own presence on social media, but you need to leverage the broader event pages and hashtags to get attendees who may not yet be engaged with your brand to look at your posts. 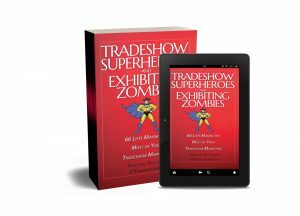 Host a giveaway—As we’ve already discussed, tradeshow attendees love free stuff. 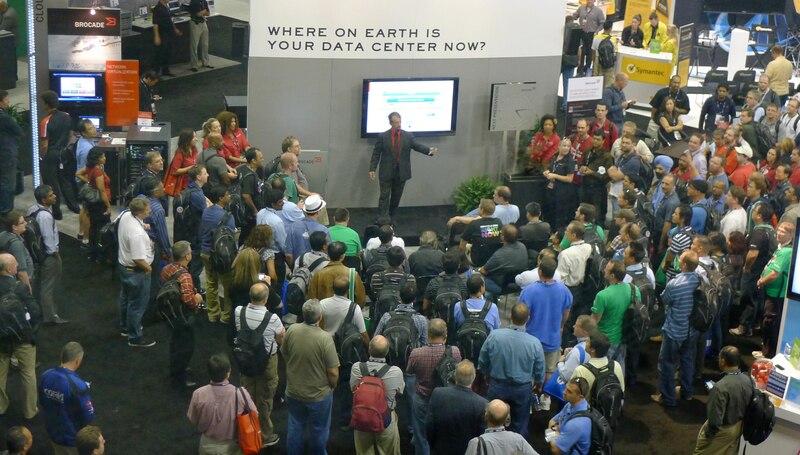 With that in mind, one of the best things you can do to entice visitors to your booth is to host a giveaway. Choose a desirable item—perhaps a gadget, a gift card, or a getaway—and make it a prominent feature of your display. Ask everyone who passes your booth to drop in a business card as their entry and designate a time and place for the official drawing at the end of the show. This is beneficial to you for many reasons. 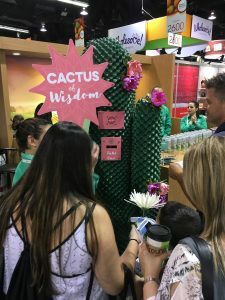 It draws attention to your booth, encourages visitors to stop by twice (once to enter and once to see who won), and earns you lots of new contacts and leads. Get on the VR bandwagon—There are a few important technologies that you should be leveraging to get ahead in today’s tradeshow environment. The first is virtual reality. If it’s in your budget, do what you can to draw in customers with VR, primarily if what you’re selling is a place or an environment that can’t be recreated at the show. For example, the German airline Lufthansa drew major props when it invited tradeshow attendees to watch the world’s first 360-degree movie filmed on a Boeing 747 at a recent tradeshow—in virtual reality, of course. VR can help users visualize, learn, experience, and get hands-on training with your product without the need to get them in the door for a real-life demo. 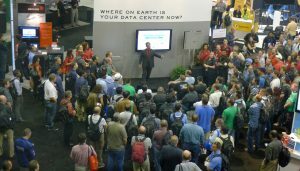 Make your booth a getaway—What do tired, busy show-goers want more than anything? A place to chill. 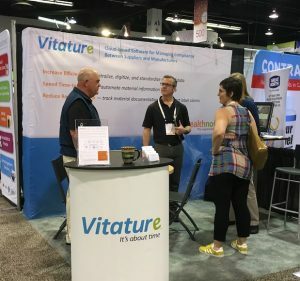 If you can make your show environment simultaneously high-energy—you want attendees to take action, after all—and relaxing, you can bet that visitors will come back again and again with friends. Whether it’s adding a TV, massage chairs, or a couple of phone chargers, anything you can do to make your booth feel homey and welcoming is a win. Just be careful about loafers! It’s important to keep the energy flowing rather than stagnant in a tradeshow environment. One of the most important things you can do to draw more visitors to your tradeshow booth is to exhibit with a smile. Put your friendliest, most charismatic employees on the frontlines and train them to act as hosts and hostesses of your environment. If they’re able to make warm connections with people passing by, whether it be making eye contact and smiling or asking them a question, they’ll be able to help convert visitors to loyal customers. Be sure that your exhibit has an open and inviting feel no matter what. Lee Becknell serves as the Senior Digital Marketing Manager for Pinnacle Promotions. Lee oversees digital marketing from the Atlanta, GA headquarters. Lee has been with Pinnacle for over six years. Lee enjoys spending time with her husband, son and golden retriever, running and taking naps.